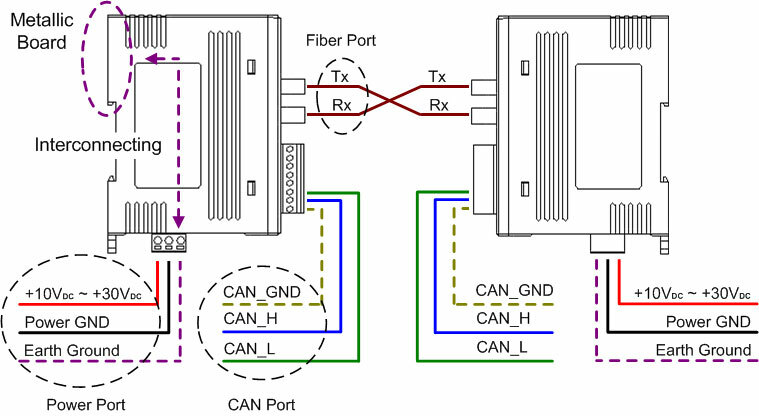 CAN to Fiber Multi-Mode Bridge helps to extend CAN networks distances over Fiber cable. Supports multiple Baud Rates and comes with utility tool. I-2533 is a local CAN bridge used to establish a connection between two CAN bus system via fiber optic transmission medium. 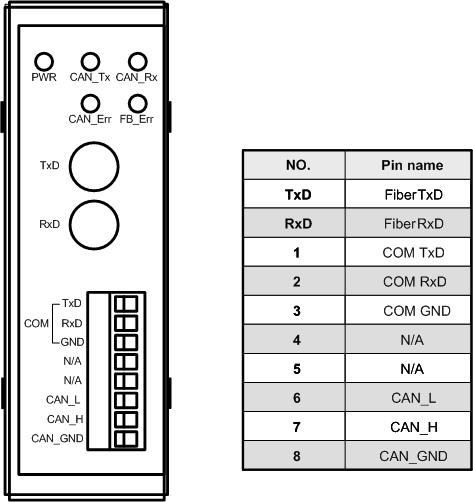 In order to solve the problem between CAN and fiber transmission medium, I-2533 is specially designed for converting the electrical CAN bus signal to fiber optic cables. Not just like I-2532, I-2533 has three more important features. First, the transmission distance limitation of the CAN bus system will not reduced because of CAN baud rate. It means that the total network distance can be extended. Second, the bus error on one CAN network will not affect the operation of another CAN network. Finally, the two CAN network can communication with each other by using different CAN baud rate for highly flexibility. Besides, I-2533 provides the utility tool for user-defined baud rate and filter configuration. By using this tool, it is allowed to have user-defined baud rate and message filter. When users use the I-2533 on two CAN network with different CAN baud rate, it may be useful to reduce the bus loading on the network which has low baud rate.